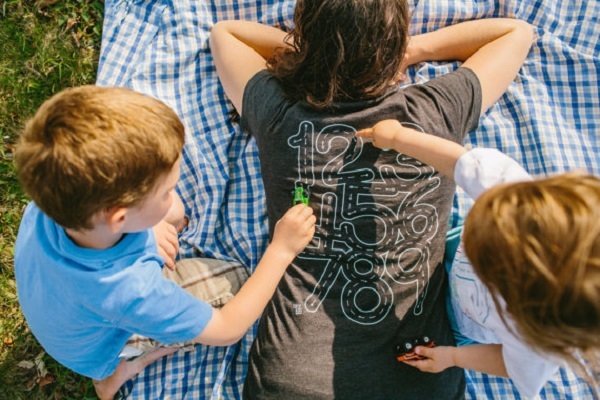 The Number Tracing Tee - clothing you can count on! 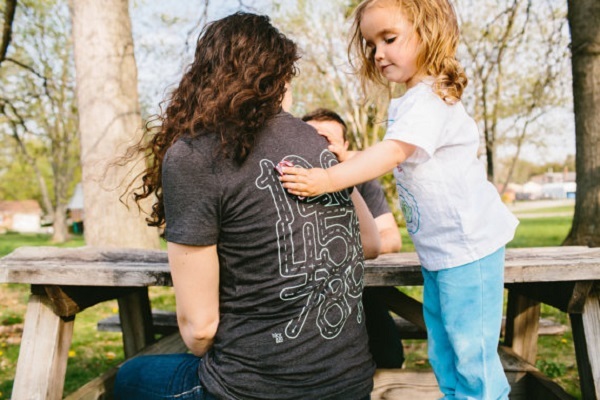 The Number Tracing Tee – clothing you can count on! Hands up who would like a massage while the kids play? Yes? 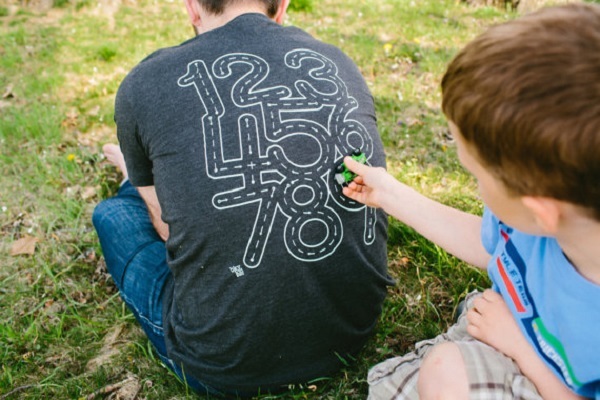 Then the Number Tracing Tee is your must-have item of clothing. And at only $29 it costs less than a full-body Shiatsu! 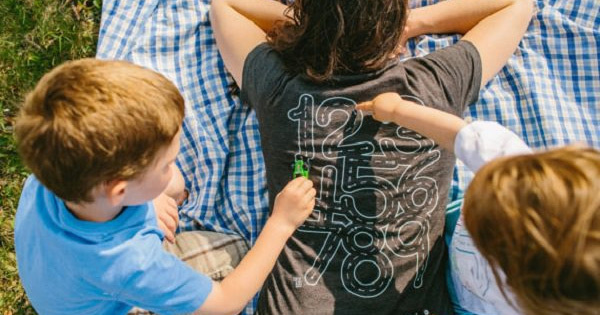 First we spotted the Play Mat Tee and then the Kid’s Car Pocket Tee, and now Becky, the creative mum behind BKY Kid on Etsy, has introduced us to the Number Tracing Tee. We are talking a T-shirt with benefits here. It’s really quite simple: you wear the tee, give your little one a toy car, and then let them go wild wheeling it around on your back. It’s a win-win scenario – you can relax and have a little timeout reading the paper, chatting to a friend, perhaps even snoozing, while your child has fun tracing the tracks inside the numbers. Your kid learns while you, er, laze! What’s not to love? Luckily, the Number Tracing Tee is available for both men and women so there will be no squabbles over who gets the massages, just perhaps who goes first. Top tip: choose your pressure by providing your child with the appropriate mode of transport. I prefer the rolling motion of my son’s little wooden trains, while my hubby likes the firm pressure of his metal Matchbox. Yes, we take number education very seriously in our house! And if you’re out and about with no toys to hand, your kids can use their fingers to trace the numbers – acupressure meets education. Brilliant!